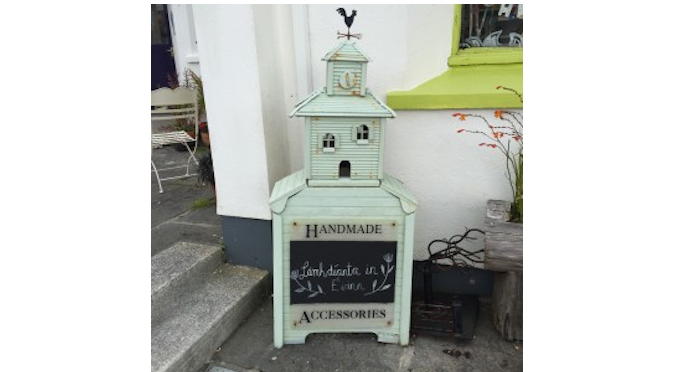 Since I moved to Galway from Dublin, a blow in, over 10 years ago, I have always loved this handmade pale green New England style Birdhouse sign. It stood for a long time outside the Clonkeen Candle makers shop in the craft village in Spiddal, “Ceardlann an Spideil”. The candle makers have long since left and it now stands alone, a bit broken but even more beautiful with age. It’s become an old familiar friend in the part of the country I now call home. I’m always tempted to put it in the back of my car but I realise it’s living where it belongs out there in windy Spiddal facing the Atlantic Ocean, a bit like me now I suppose. Previous: Flower picking and arranging with Theo.